Thanks to the War on Drugs, penalties for federal drug charges are often out of proportion to the offense. Even with the recreational use of marijuana being legal under Nevada state laws, there is still a chance that you can face charges for possessing it. Federal drug charges are life-altering even if you never see prison time and there are few types of cases that keep Las Vegas defense attorneys busier. 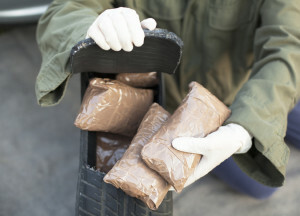 If you are facing federal drug charges, the sooner you hire a skilled lawyer the better. Otherwise, you may suffer the worst the laws have to offer. Drug offenses are addressed by the Comprehensive Drug Abuse Prevention and Control Act of 1970. As recreational drug use increased, the laws at the time were inadequate to tackle the issue. The new law filled that gap by classifying and outlawing certain drugs and addressing drug abuse and treatment. The classification system includes the most dangerous drugs, like heroin, ecstasy, marijuana, and peyote which do not have an approved medical use. These Schedule I drugs carry the highest penalties in federal law. Schedule II drugs, including cocaine, methamphetamines, heroin, and other opiate derivatives also carry stiff penalties. These include prescription medicine, like OxyContin, which offer legitimate medical benefits but a high potential for abuse. Schedule III through V are the least dangerous drugs and you likely only see charges brought if the activity involved theft or a large distribution scheme. This involves production of a drug. It is most common with methamphetamines since those are frequently home-grown. Marijuana cultivation also falls under this category. Offenses involve moving drugs from Point A to Point B. This includes selling, transporting and importing controlled substances. Whether you cross the border from Mexico or move drugs between Nevada and California, both offenses fall under trafficking and distribution. Even if you have no intention to distribute, you can still face charges for merely possessing the drugs. Your potential sentence depends on where the substances fall on the schedule and how much you carried. These charges also include the possession of any paraphernalia such as syringes, pipes, and rolling papers. It is easy for drug charges to end up in the federal system. If you’ve transported drugs across the state line, you will face charges in federal court. Also, if state authorities agree with federal prosecutors that your offense is a federal crime, your case will be handled in federal court with no opportunity to appeal that decision. Also, it bears mentioning that you still need to be careful with marijuana. While recreational and medical marijuana is legal in Nevada, that changes the minute you bring it to a federal property, like a national park. You can still face federal drug charges for the substance even though there are no state penalties. The federal court system is known for its severity in sentencing drug crimes. Many factors determine the ultimate sentence but if you do not have a good defense, you are likely facing at least five years in prison if a prosecutor successfully proves charges. If your offense involved lower quantities of Schedule I and II drugs, you may face at least five years in prison and no more than 40. If death or serious physical injury was involved, the minimum sentence increases to 20 years. For a second offense, the minimum increases to 10 years in prison. Higher quantities of Schedule I and II drugs results in a prison sentence of 10 years to life for the first offense, especially if someone was hurt or killed. Second offenses range from 20 years to life. Once you go beyond two offenses, you face life imprisonment. Federal charges involving marijuana and its derivatives can easily result in sentences ranging from five to 20 years. Even if you possess less than 50 kilograms, you still have the potential of facing up to five years in prison and a $250,000 fine. Federal drug charges are a scary prospect for defendants. Even if your offense did not hurt anyone and was largely a victimless crime, you face the unpleasant prospect of a high fine and a long prison sentence. An experienced defense attorney assures this does not come easy for prosecutors. For example, drug offenses have a shorter statute of limitations of five years, and if your charges are brought on past actions, that is a possible defense. Drug arrests frequently result in constitutional violations too which can dismiss your charges. Gabriel L. Grasso offers the winning track record and experience to help you through drug charges. To get started on your defense, contact us today for a free and confidential case review.